Intensely enriched with the powerful technology Hyaluronic Acid + Prodew 500®, it restores hair youth, integrity, weight, and intense volume reduction, delivering smooth effect for until 3 months with an amazing balance, soft and strikingly bright hair. 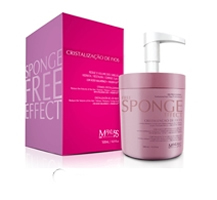 It is indicated to recover porous, dry, dyed and chemically treated hair. Result: Hair renewed with smooth effect for until 3 months, and with balance and bright from the root to the tip. An innovative active principle with rebuilding properties that fills intercellular gaps with perfection, reinvigorating the whole hair and acting upon scalp, improving hair from the root. It is found naturally in the conjunctive tissue and used for years in esthetics to perfect skin’s sustenance and elasticity, eliminating age signs. Its hydrophilic properties keep natural moisture of the hair fiber, recovering balance, elasticity and cohesion. In the scalp, it restores moisture levels, making the hair grow healthy, stronger and shiny. 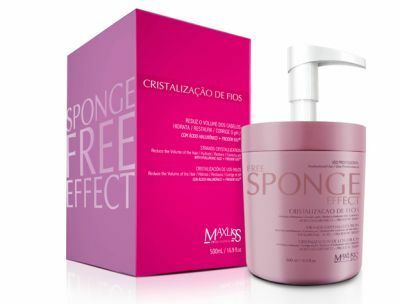 1- After washing hair with Purifying Shampoo Maxliss, dry 80% and apply Sponge Free Effect Hair Crystallization in thin sections. 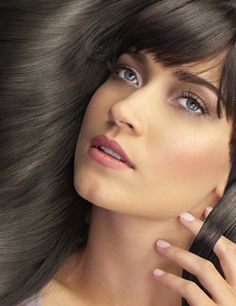 1- After washing your hair with Maxliss Purifying Shampoo, dry your hair up to 50% with a hair dryer. Apply Hair Crystallization at bundle by bundle and remove the excess with a comb. 2-Wait a 10 minutes, then rinse with water while removing all product. Make a perfect brushing. Your hair will be beautiful, with strength, balance and a lot of bright.